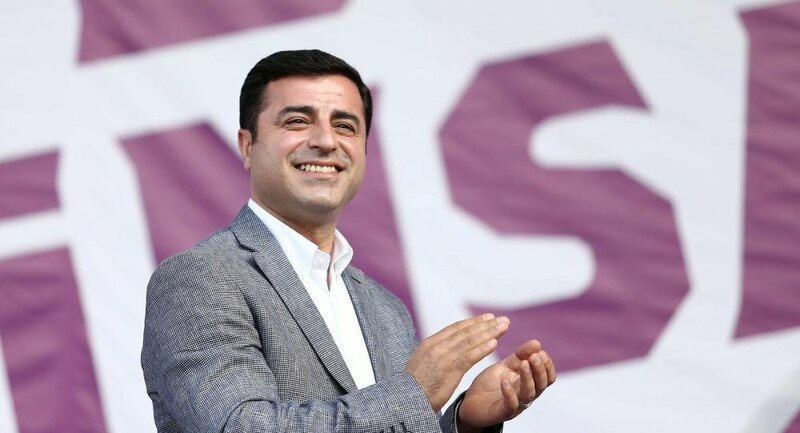 A petition was submitted to Turkey’s Supreme Election Board (YSK) on Friday demanding the cancellation of pro-Kurdish Peoples’ Democratic Party (HDP) candidate Selahattin Demirtaş’s presidential bid, the OdaTV news website reported. Former general secretary of Turkey’s Defense Ministry retired colonel Ümit Yalım, the author of the petition, presented along with the petition a photograph showing Demirtaş standing with militants from the outlawed Kurdistan Workers’ Party (PKK). “Is there anything else to say about Demirtaş?” asked Yalım, who is also an ultra-nationalist TV pundit. Demirtaş was arrested in November 2016 along with several other HDP deputies on terror charges. He is still in pre-trial detention.